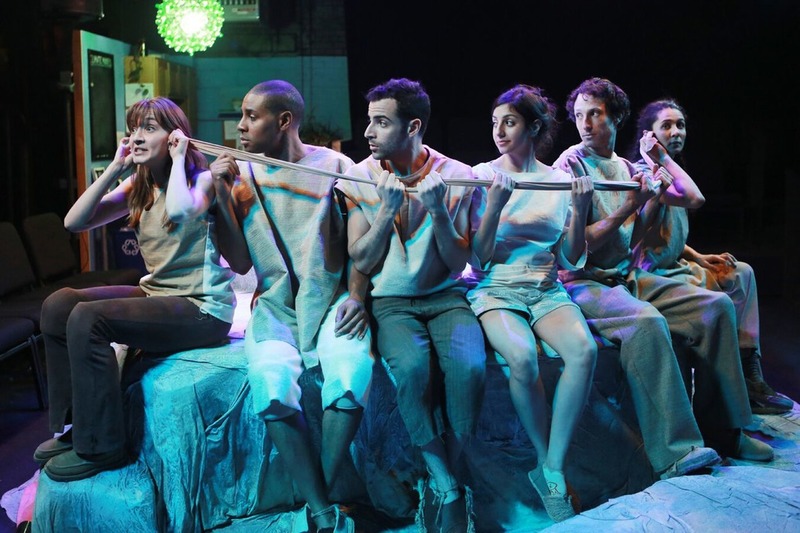 The ninth annual Big Green Theater Festival will run from April 25 to 28 at the Bushwick Starr. 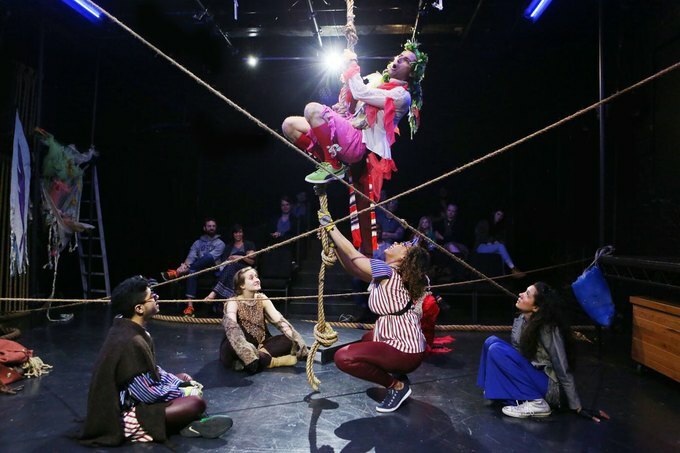 All the world is indeed a stage and the grownups merely players at the upcoming ninth annual Big Green Theater (BGT) Festival, which will run from April 25 to 28 at the Bushwick Starr. The festival will showcase several short plays centered around environmental themes written by elementary school students from Bushwick’s PS75 and PS239. 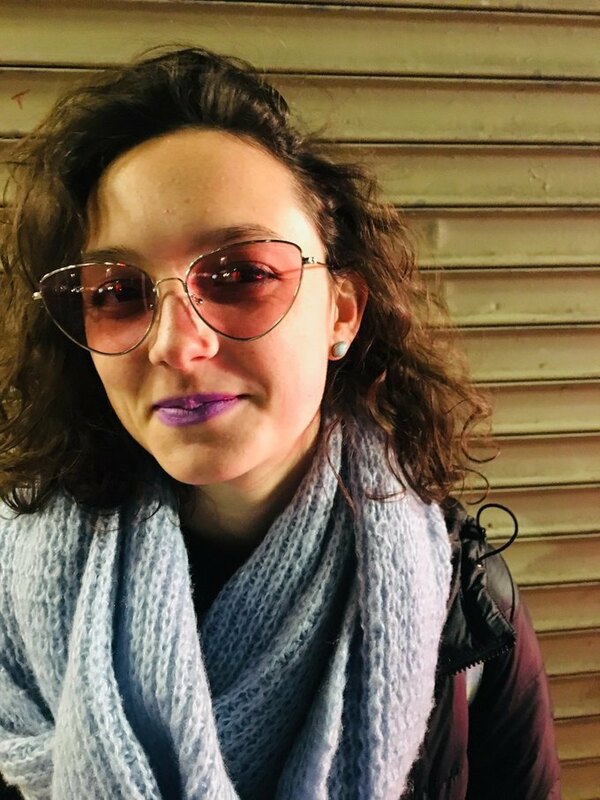 At the festival, members of the public and the students themselves will be able to see their work performed by professional actors, directors, technicians, designers and musicians from the Bushwick Starr and eco-theater company Superhero Clubhouse. From the subject matter to the playwrights to the production techniques, this is theater unlike anything else in New York. BGT is a rapidly-expanding afterschool program that has evolved over the past nine years since Superhero Clubhouse Director Jeremy Pickard and Bushwick Starr co-founders Noel Allain and Sue Kessler met. The program is impressively holistic, starting with an educational unit where students learn about environmental issues from teachers, scientists and even park rangers—this year they took a field trip to the Salt Marsh Nature Center, an experience that will be featured in the plays. Once this “classroom period” is over, the students move onto playwriting. Supported by teachers from the Starr, Superhero Clubhouse, and their school, the students work together in small groups to put together their plays. The scripts then move into production, where the cast and crew strive to bring the kids’ imaginative, wild words to life. “The process is really about, how do we feature, spotlight, uplift the words and stories and ideas that they wrote? How do we best serve that?” Pickard told the Bushwick Daily. Vanessa Felix, a former BGT actor-turned-teacher and program director, said that the process of staging the plays starts by intentionally letting go of inhibitions. Under Pickard’s direction, Felix said, the cast starts out by developing a set of 15 or 20 physical gestures that represent themes from the plays. Felix used “heat wave” as an example. One actor might wiggle their arms around to represent the term, where another might drop to the ground as if passing out from heat exhaustion. “It’s a lot more physically demanding than people think,” Felix said, though the physicality serves to connect the actors to the playwrights and emphasize the frank emotion in the scripts. “The way that [the kids] write, it’s so unlike what any of the adults in the room would do,” said Pickard. “There’s very little put on. 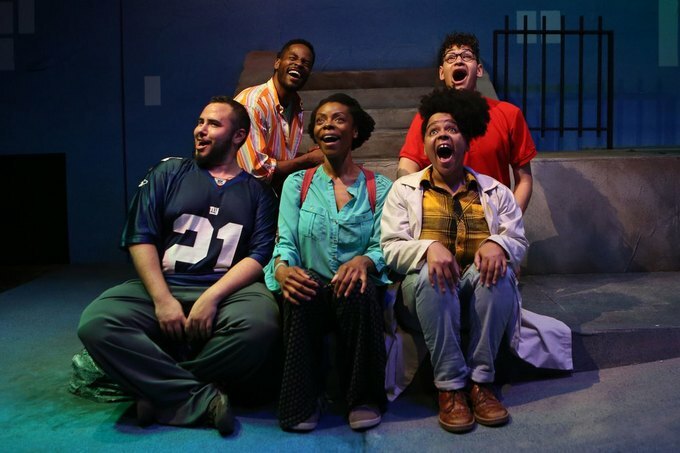 It’s so genuine and so raw.” Themes from the students’ lives feature prominently in the plays, from larger political issues that affect them, like immigration and gentrification, to having pride in their neighborhood. This is all tied together by including environmental justice in the curriculum, a focus BGT wants to make more prominent moving forward. Environmentalism is not limited to the classroom portion of the program, or to the content of the plays. The entire production is done as eco-friendly as possible, from using upcycled materials for sets and costumes to using solar-powered LED lighting. This practice is called eco-theater. “Everyone involved is vigilant about BGT being as green as humanly possible,” said Pickard. The BGT Festival is free and open to the public April 25-28 at the Bushwick Starr, at 207 Starr Street. For showtimes and more information, go here. BGT is also always looking to grow their program by adding volunteers. To get involved, email Vanessa Felix at vanessa@thebushwickstarr.org. All images courtesy of Sue Kessler.